Some people who didn't get the iPhone X think it's too expensive. Can you imagine? Your little game is up, Apple! We have learned the secret of the iPhone X! Writing for the Forbes contributor network and free-range rubber chicken farm, Gordon Kelly has the goods. Not to ruin the reveal, but what’s the expensive new iPhone secret? It’s expensive. It’s OK. Very little of this makes sense. Do you want to upgrade to the iPhone X? Will you upgrade to the iPhone X? Would you, could you, in a mall? Will you, won’t you, come this fall? Yes, that’s right. Apple would prefer you don’t know things other people think. In a survey of 1,500 iPhone owners, [Piper Jaffray analyst Michael] Olson discovered a whopping 31% stated they would not be upgrading to the iPhone X because “it’s too expensive”. 31 percent! Wow! That’s… uh, not even half? Also, they said they “did not” upgrade to it, not that they “would not be upgrading” to it. And this survey doesn’t say anything about the split between those who did not upgrade and those who did. Don’t these people know that Apple is deliberately obsoleting their phones by slowing them down when the battery is failing instead of, er, having them crash?! Well, either they don’t know or they don’t care — but, whichever it is, this flies in the face of all the pundits who predicted Apple doom over that story. (Aside: wouldn’t it be nice if it could literally fly into their faces?) 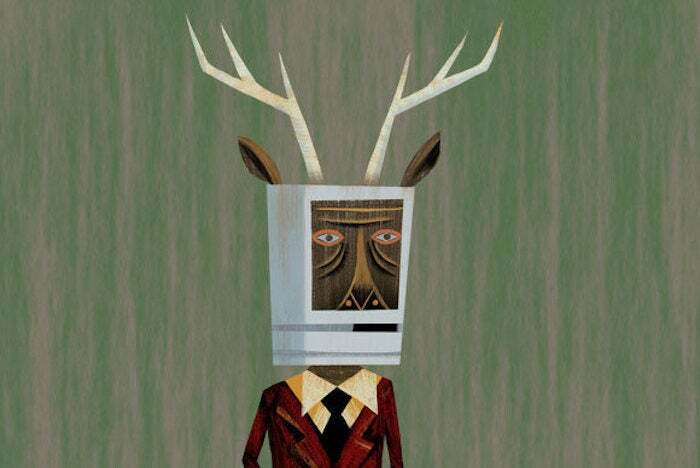 The Macalope would try to make a Venn diagram of iPhone customers as seen by pundits — for example, how they’re very angry about their old phones being slowed down but also not upgrading to new phones because the old ones are fine — but he feels like it would be an exercise in madness. Kelly details the additional costs of owning an iPhone such as AppleCare+, fast chargers you may or may not even want, taxes that apparently don’t affect all those tax-free phones from other vendors, etc., etc. Yes, the iPhone X is expensive. We heard. Olson does not “conclude” that (at least not according to the stories on the report the Macalope read). He predicts Apple will ship multiple new phones this year and that’s part of the reason Piper Jaffray’s take on AAPL is “Maintain Overweight rating and $200 price target.” But the judgement that Apple needs to do that or “there’s going to be hell to pay” is Philip Elmer-Dewitt’s editorial comment from the post Kelly links to, and one Elmer-Dewitt says he meant ironically. So. Piper Jaffray’s report is interesting but hardly very bad news for Apple considering the company’s stance on the stock. But these surveys are often Rorschach tests; people see what they want to see.